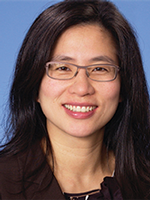 “Subjective knee crepitus can be used clinically to identify individuals at risk for symptomatic OA, potentially assisting with early diagnosis and ultimately with intervention,” wrote Grace H. Lo, MD, MSc, and colleagues. According to the results of a recent study, men who retired from playing professional football are more likely to experience knee pain, have osteoarthritis (OA), and require total knee replacement (TKR) surgery than men in the general population (Fernandes GS, et al. Br J Sports Med. 2017 Nov 3. Epub ahead of print). “The aim of the current study is to investigate the ability of the algorithm to separate clinically healthy but obese subjects, diagnosed from the baseline radiographs, into different KL grade groups based on the predicted level of cartilage degeneration,” Ms Liukkonen and colleagues explained. Knee osteoarthritis (OA) affects millions of American adults and is characterized by substantial pain, joint stiffness, and functional limitations. Using data from 2 US trials, Dr Dai and colleagues performed a meta-analysis with the goal of determining whether dietary fiber may have any bearing on risks for x-ray evidence of knee OA, symptomatic knee OA (eg, pain and stiffness), and worsening knee pain. Patients with, or at high risk for, knee osteoarthritis who consume higher amounts of dietary total or cereal grain fiber were less likely to experience moderate and severe knee pain compared with patients whose dietary intake of fiber was lower, according to the results of a recent study by Zhaoli Dai, PhD, MS, Postdoctoral Fellow, Clinical Epidemiology Research & Training Unit, Boston University School of Medicine, MA, and colleagues. Although some observational studies suggest that vitamin D supplementation is beneficial for knee osteoarthritis (OA), a randomized, placebo-controlled, double-blind study called VIDEO found no benefit for vitamin D supplementation on pain reduction or change on tibial cartilage volume in patients with symptomatic knee OA and low endogenous vitamin D levels. The age-related cartilage wear that occurs in macroscopically normal joints and is evident at the superficial zone indicates that the wear-protective function of synovial fluid (SF) and wear resistance of cartilage changes with aging, and may lead to osteoarthritis (OA).